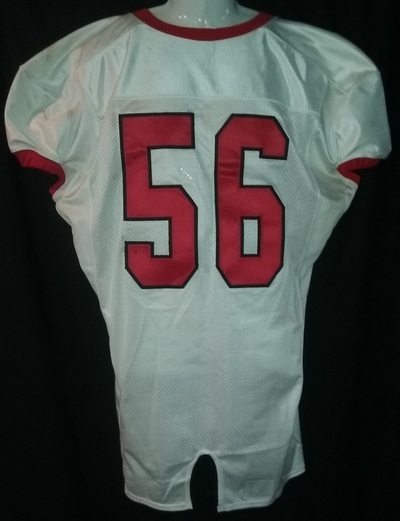 Please click on the images to enlarge the photos. 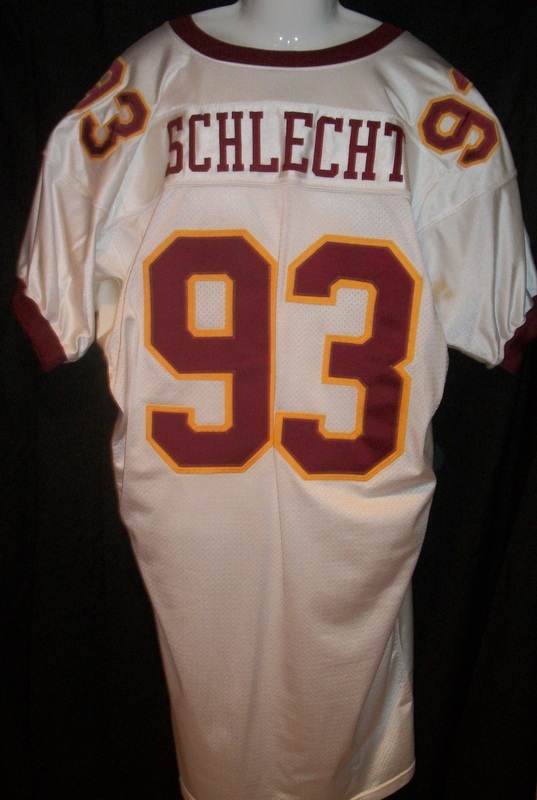 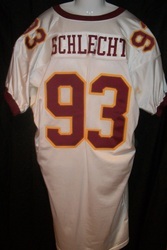 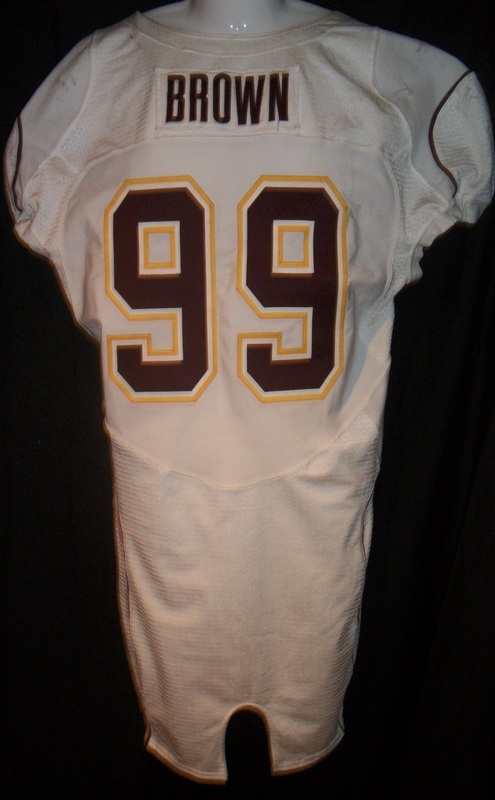 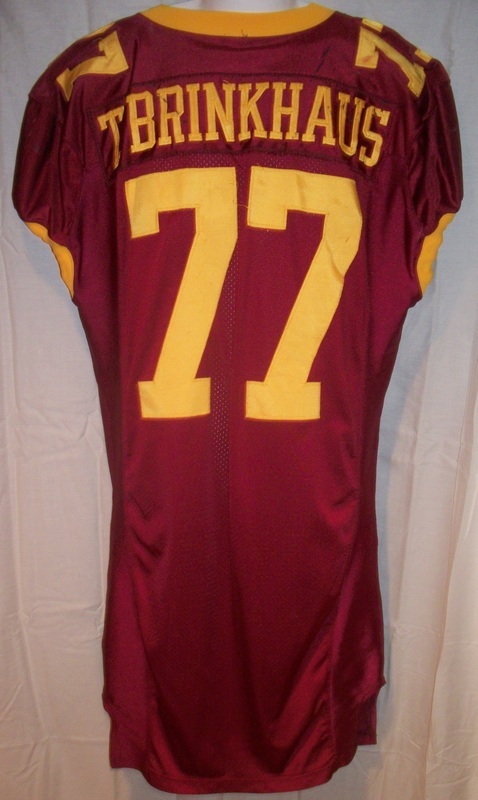 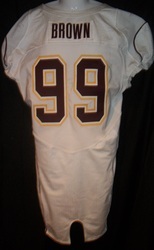 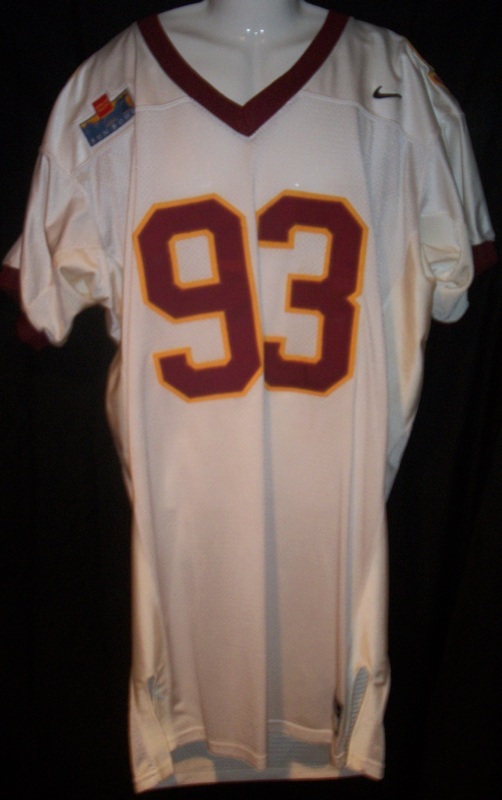 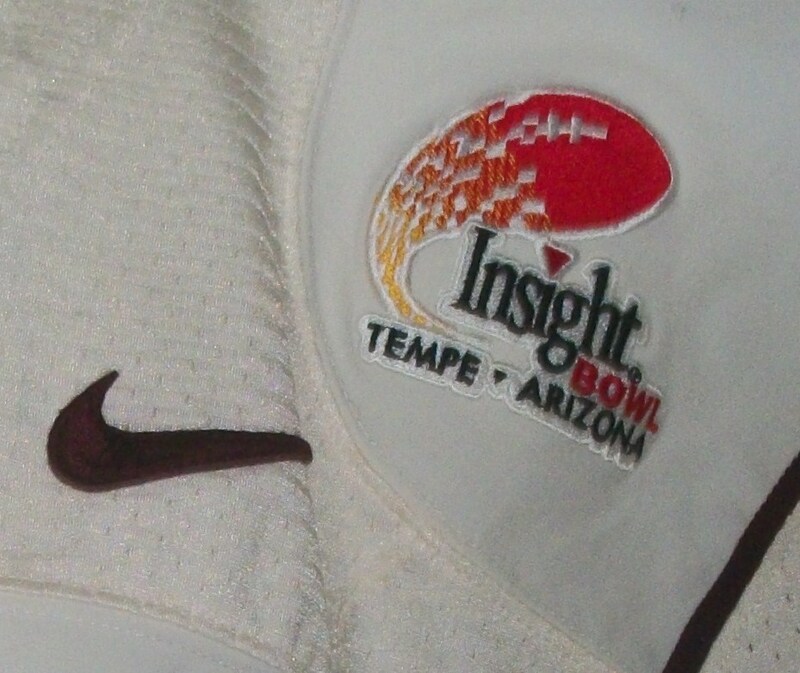 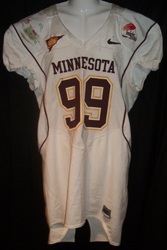 Minnesota Gophers 1999 John Schlecht Sun Bowl jersey. 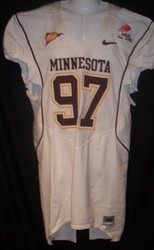 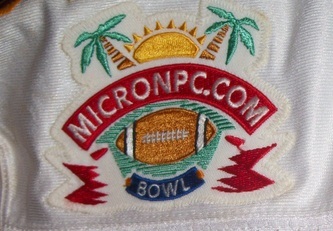 Minnesota Gophers 2000 Clorenzo Griffin MicronPC.Com bowl jersey. 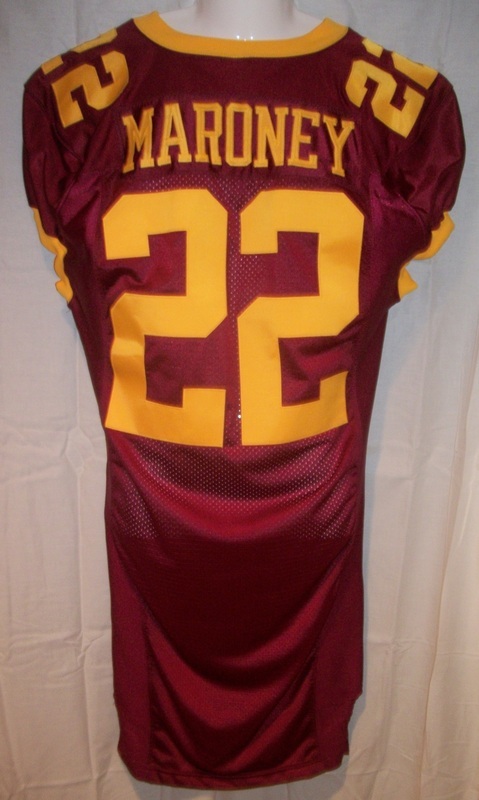 Minnesota Gophers 2000 Andy Persby MicronPC.Com bowl jersey. 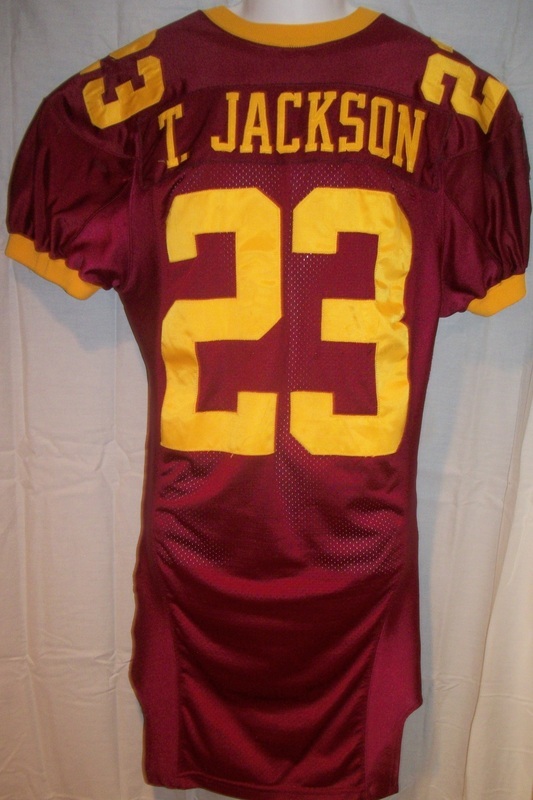 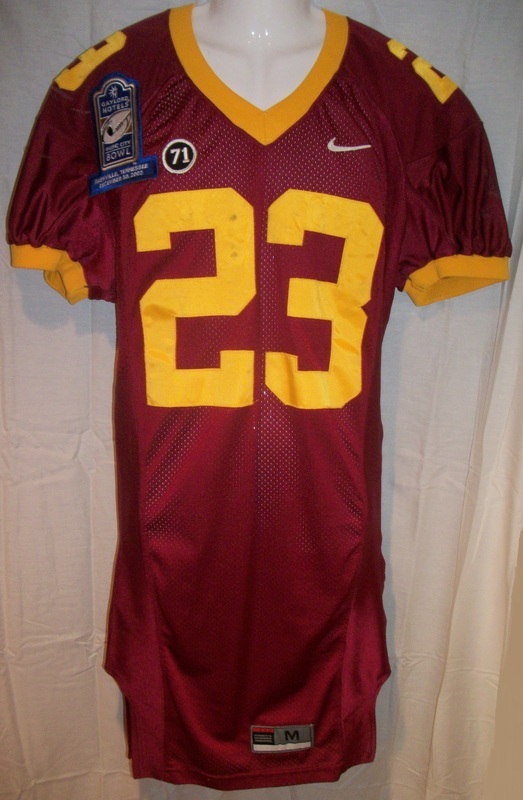 Minnesota Gophers 2002 Terry Jackson Music City Bowl jersey w/ Brandon Hall memorial patch. 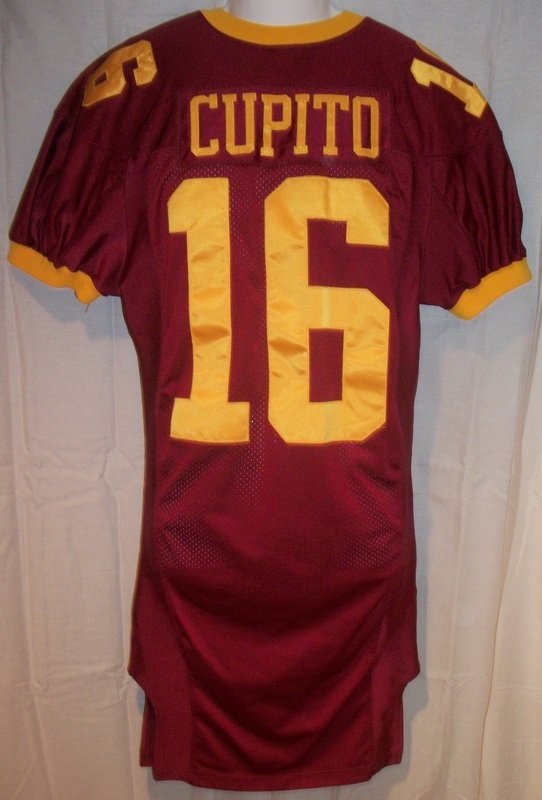 Minnesota Gophers 2002 Bryan Cupito Music City Bowl jersey w/ Brandon Hall memorial patch. 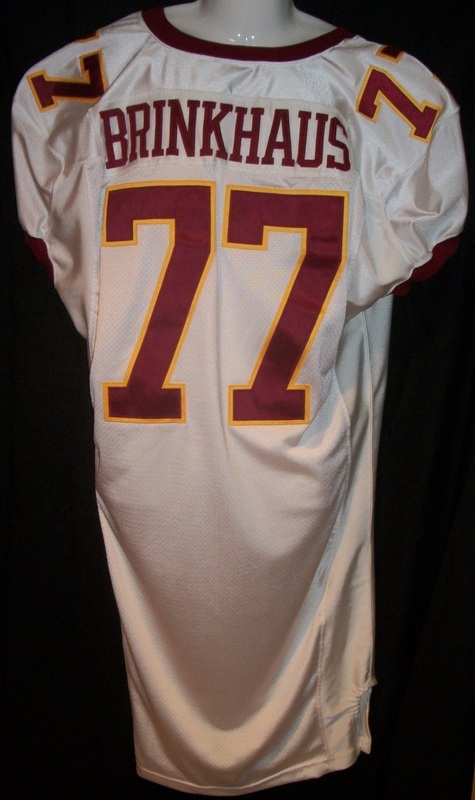 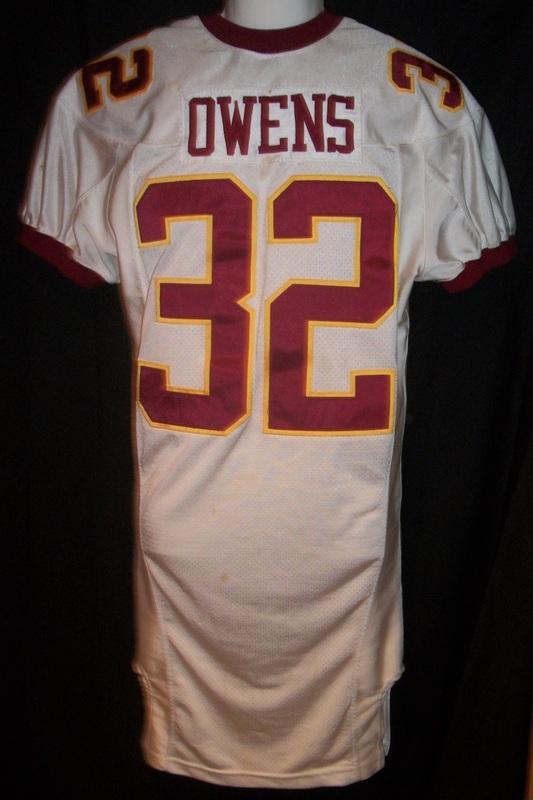 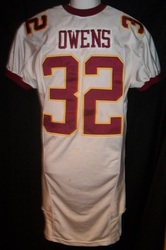 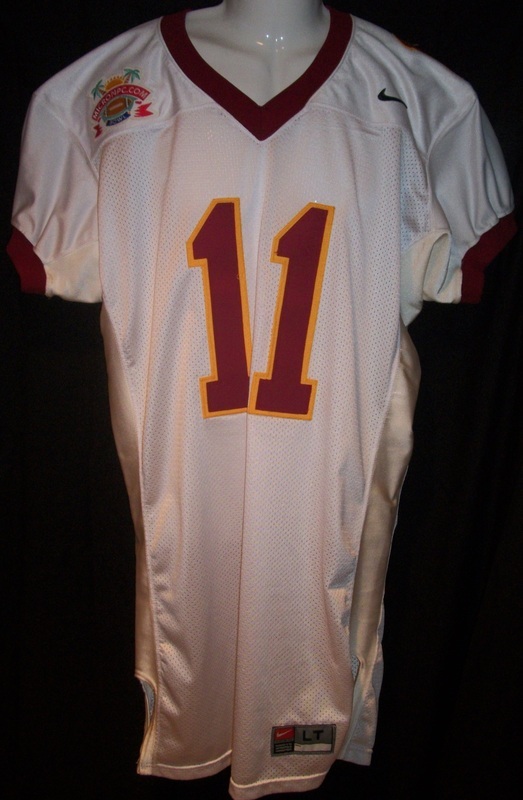 Minnesota Gophers 2003 Brandon Owens Sun Bowl jersey. Minnesota Gophers 2003 Tony Brinkhaus Sun Bowl jersey. 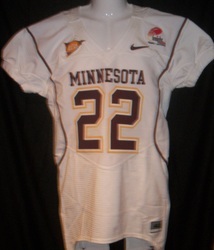 Minnesota Gophers 2004 Chris Holden Music City Bowl jersey. 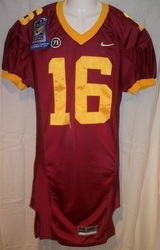 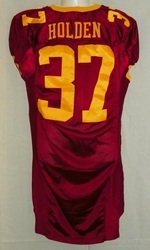 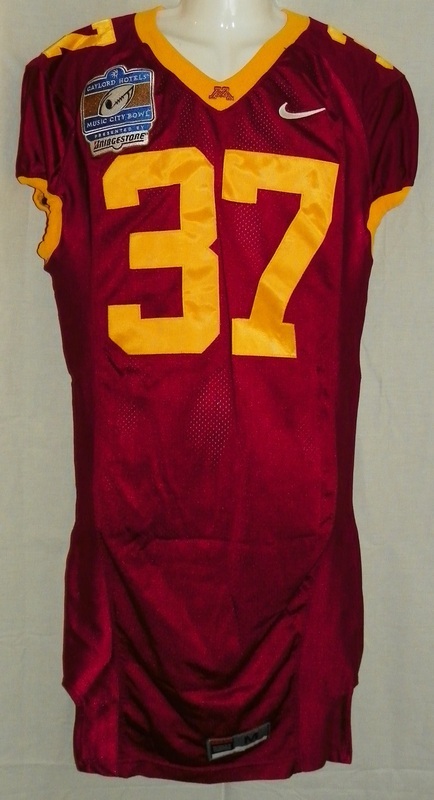 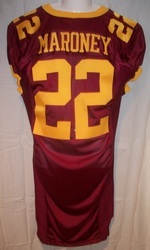 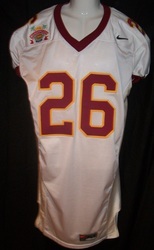 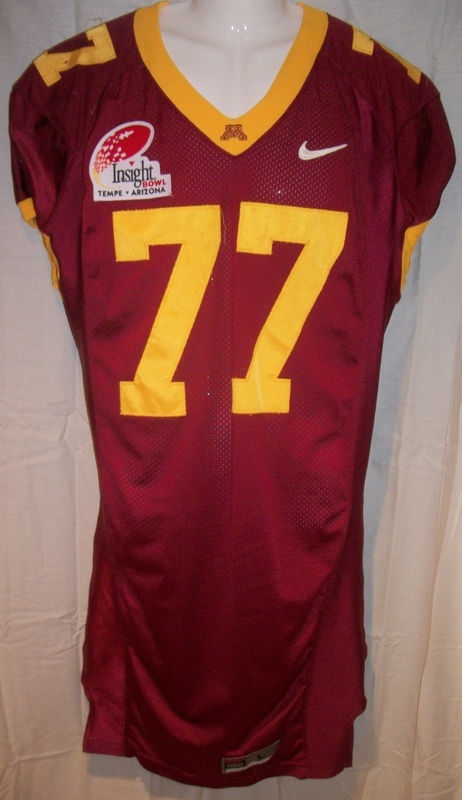 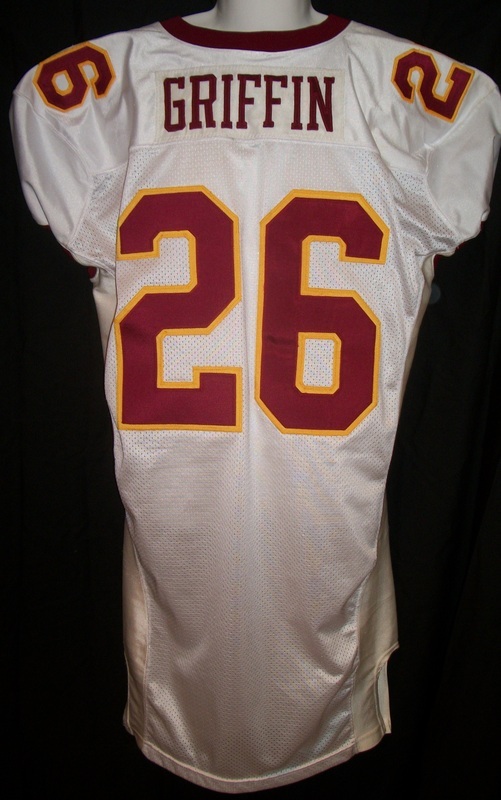 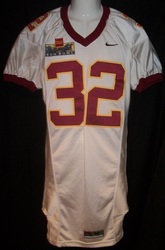 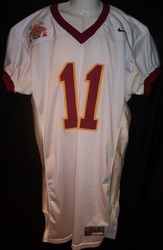 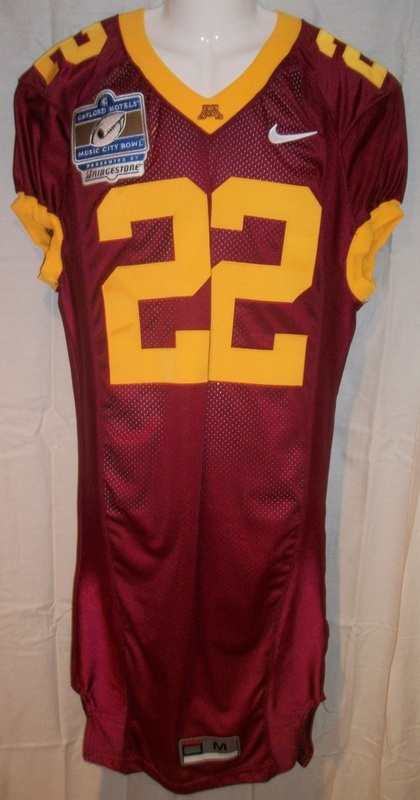 Minnesota Gophers 2004 Lawrence Maroney Music City Bowl Jersey. 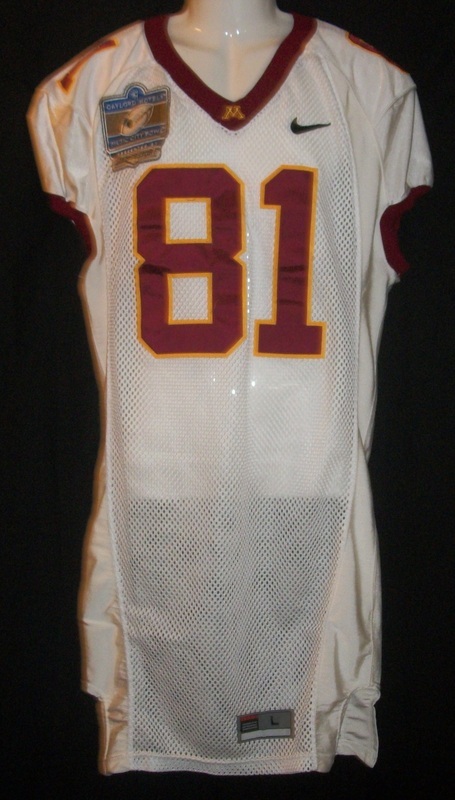 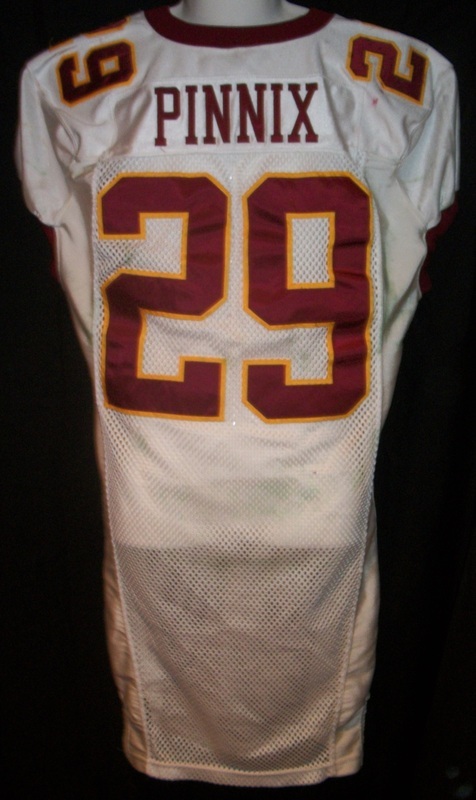 Minnesota Gophers 2005 Amir Pinnix Music City Bowl jersey. 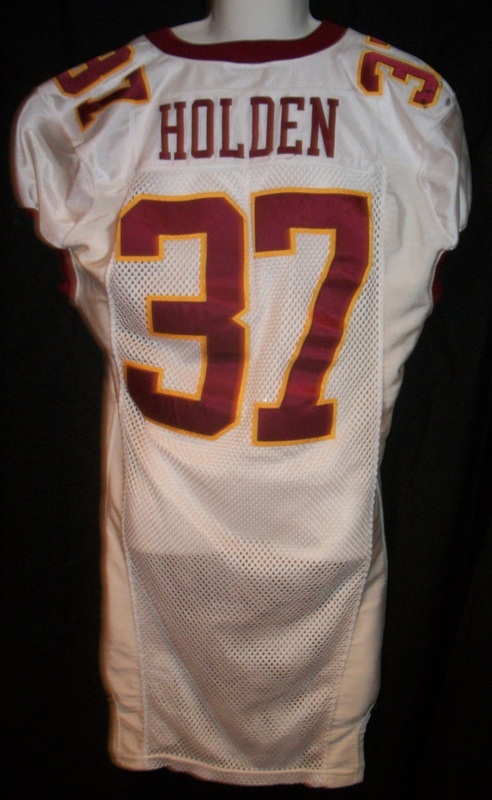 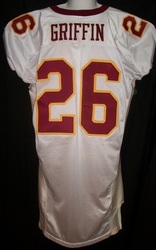 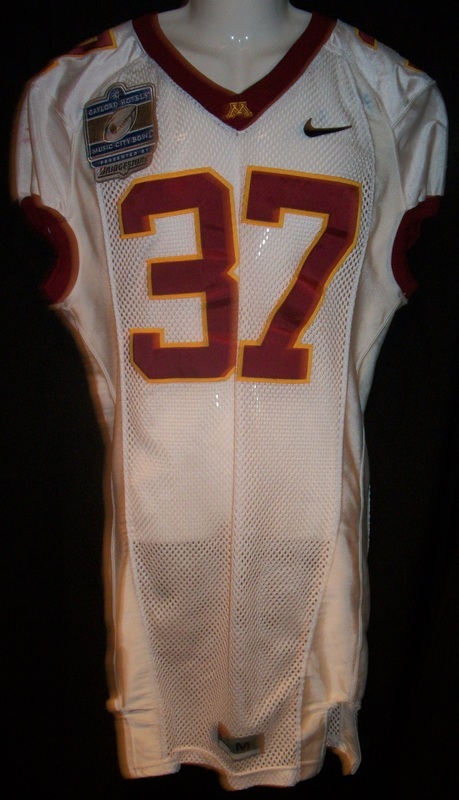 Minnesota Gophers 2005 Chris Holden Music City Bowl jersey. 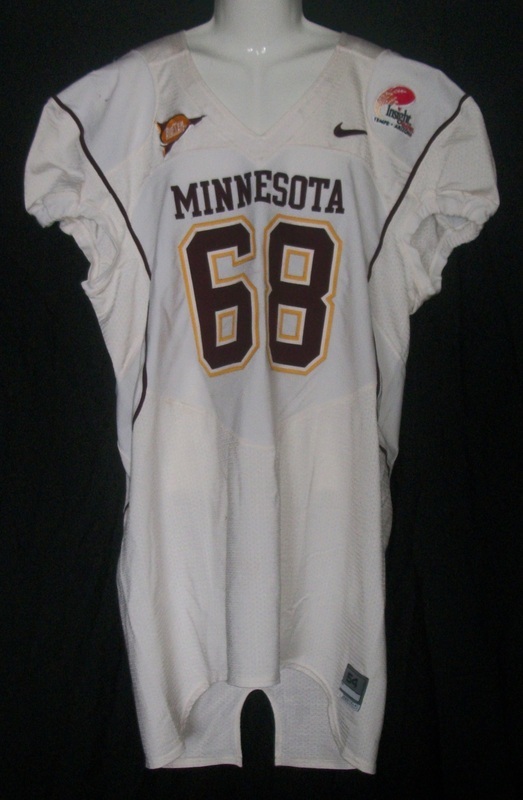 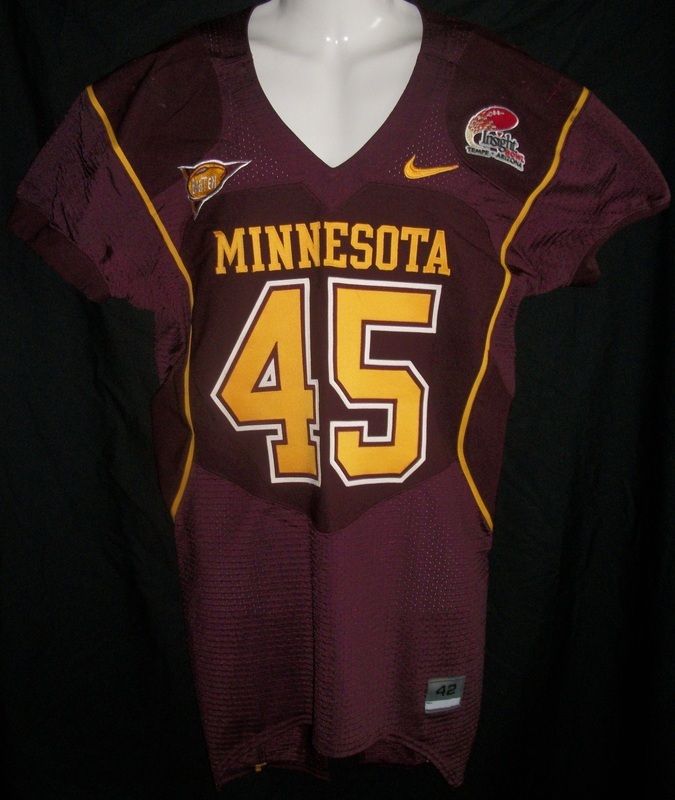 Minnesota Gophers 2005 Jared Postumus Music City Bowl jersey. 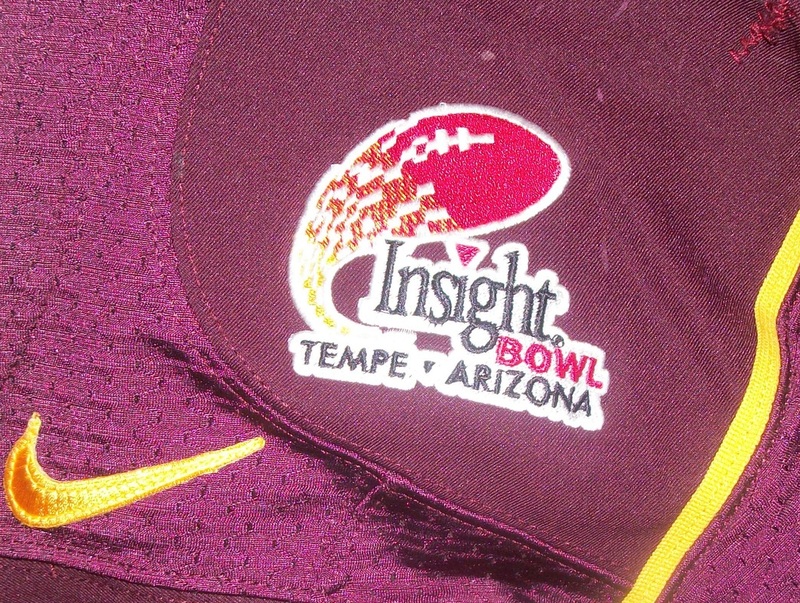 Minnesota Gophers 2006 Tony Brinkhaus Insight Bowl jersey. 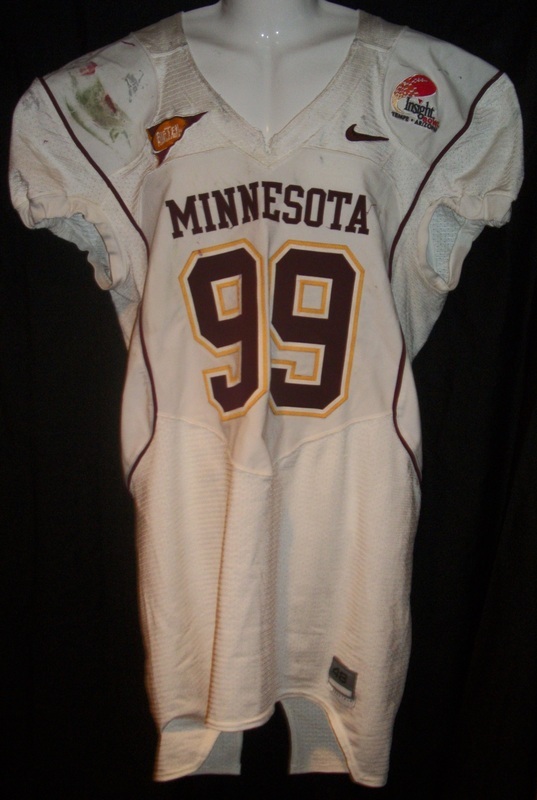 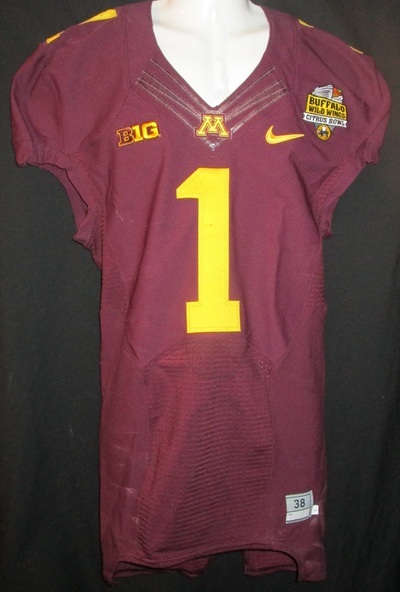 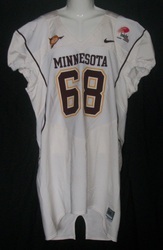 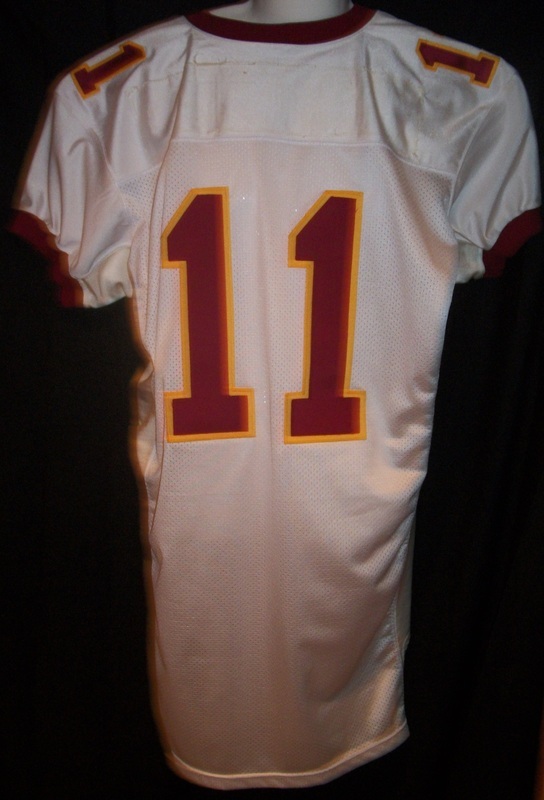 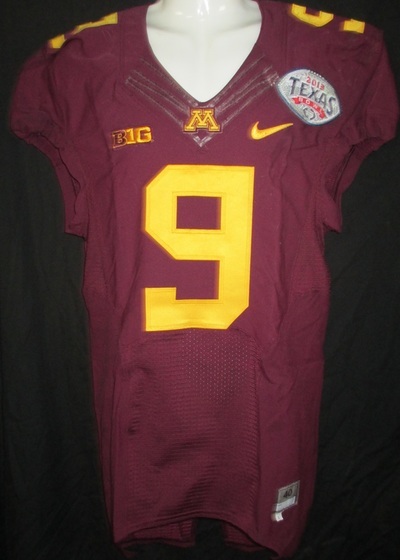 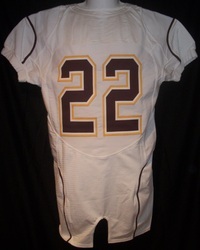 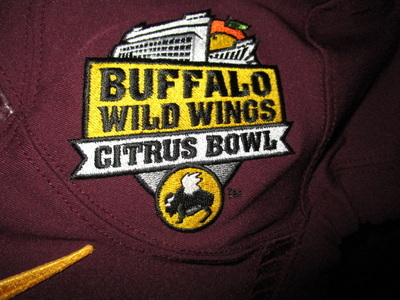 Minnesota Gophers 2009 Garrett Brown Insight Bowl jersey. 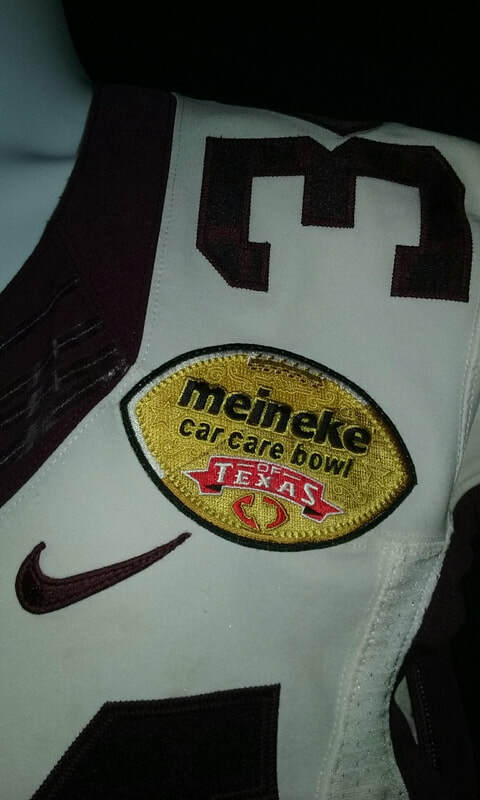 Minnesota Gophers 2012 Eric Jaques Meineke Car Care Bowl jersey. 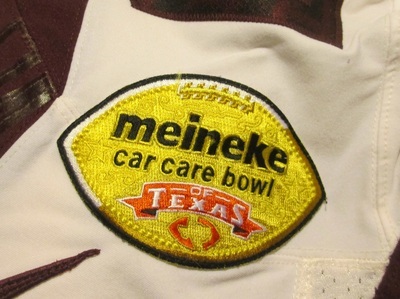 Minnesota Gophers 2012 Jephete Matilus Meineke Car Care Bowl jersey. 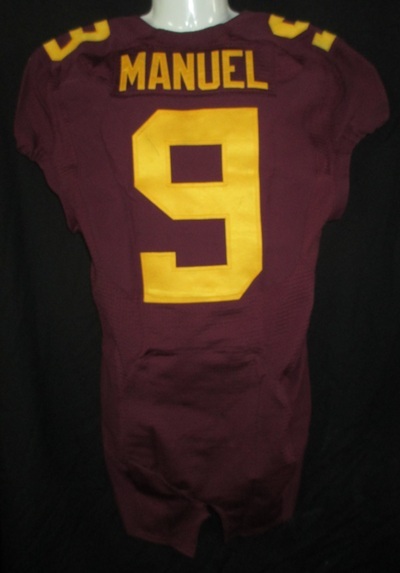 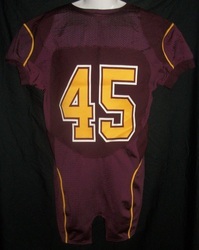 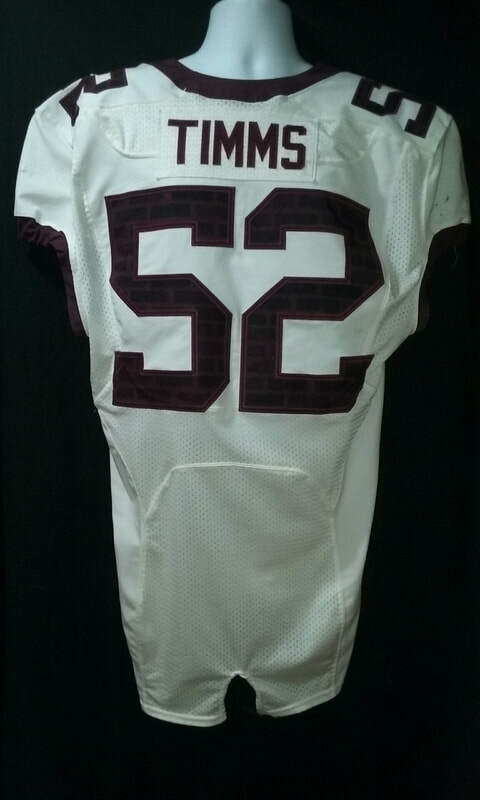 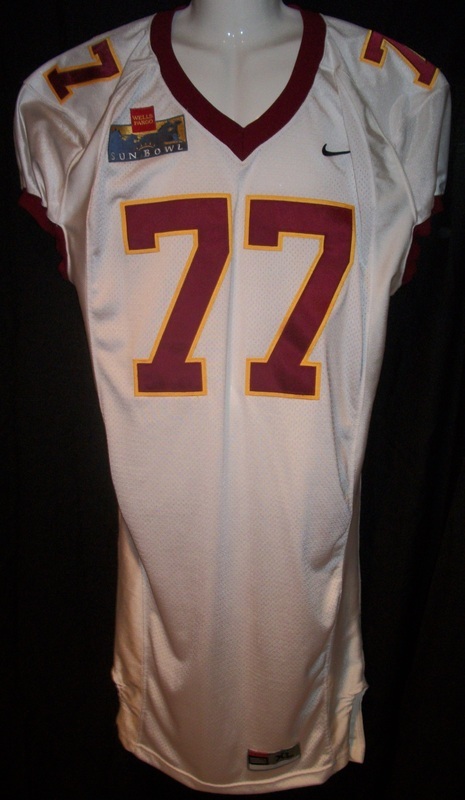 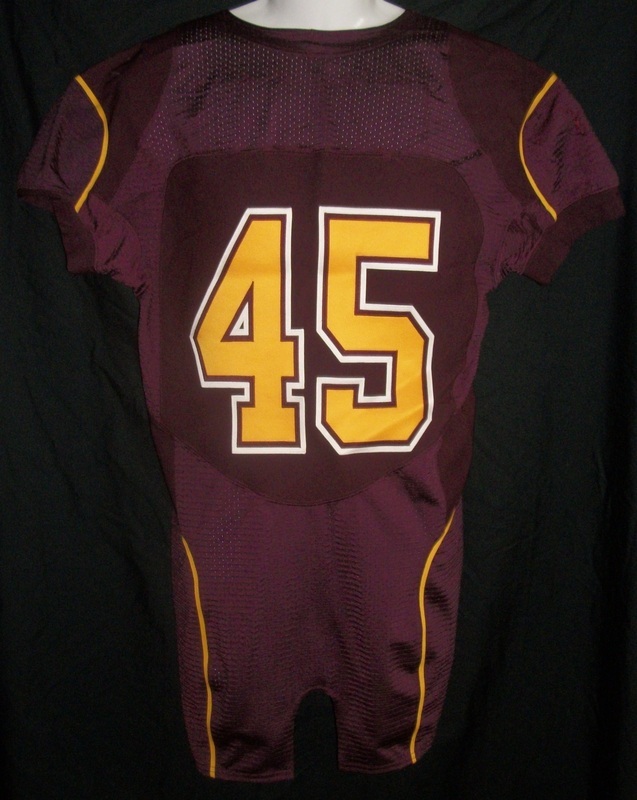 Minnesota Gophers 2013 James Manuel Texas Bowl jersey. 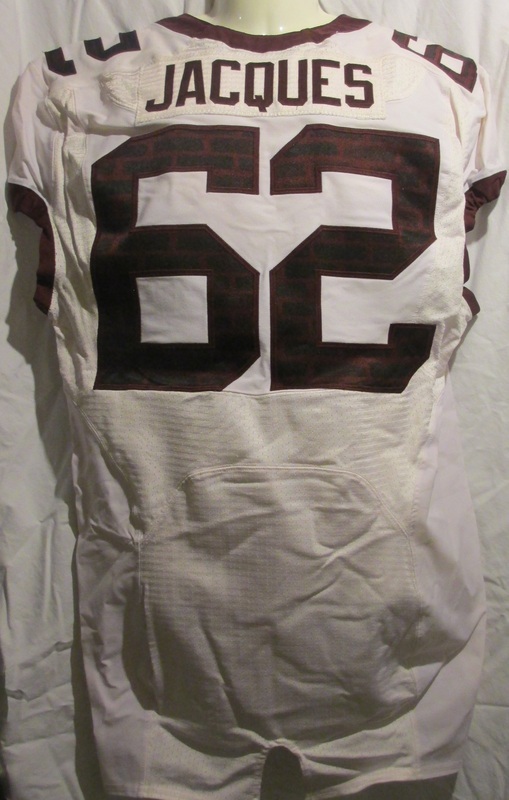 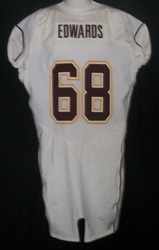 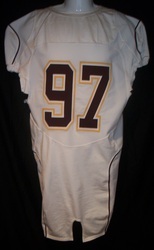 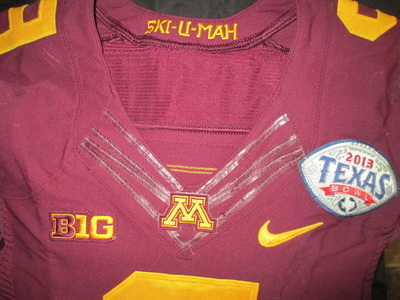 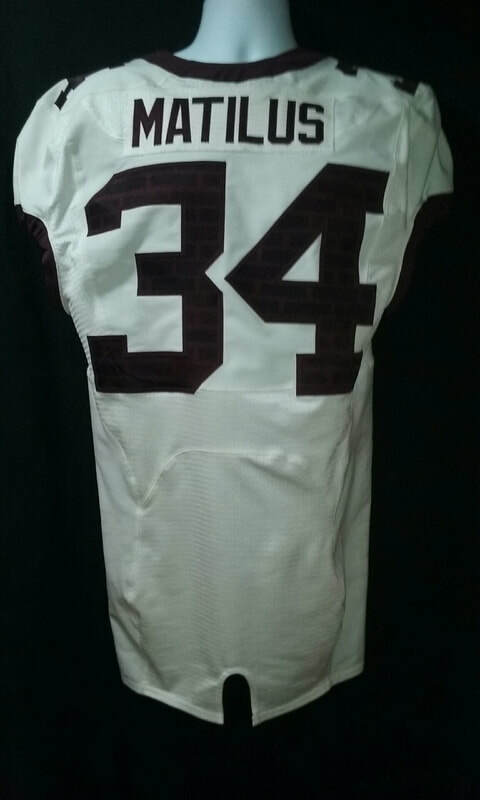 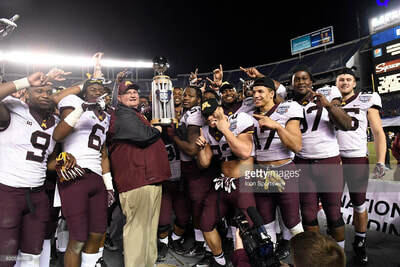 Minnesota Gophers 2013 Steven Montgomery Texas Bowl jersey. 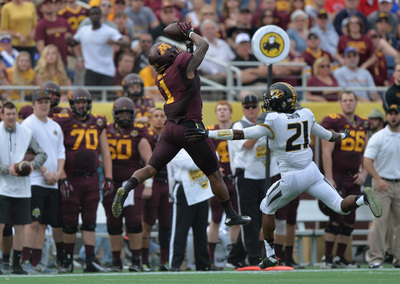 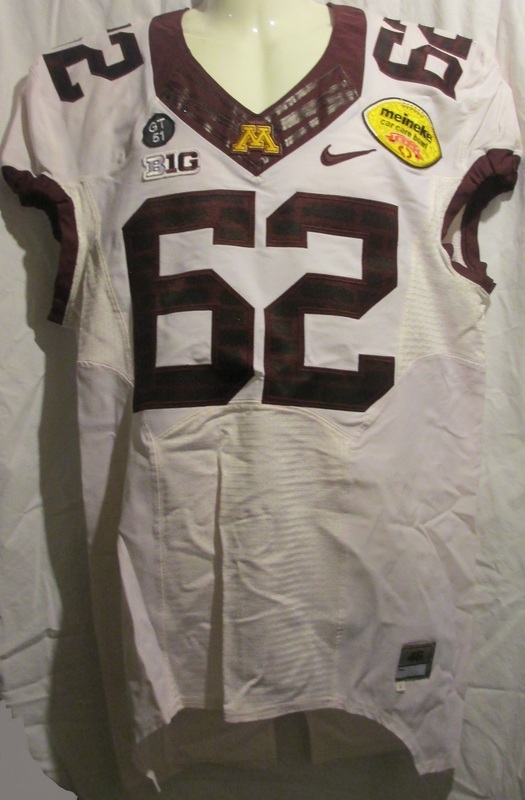 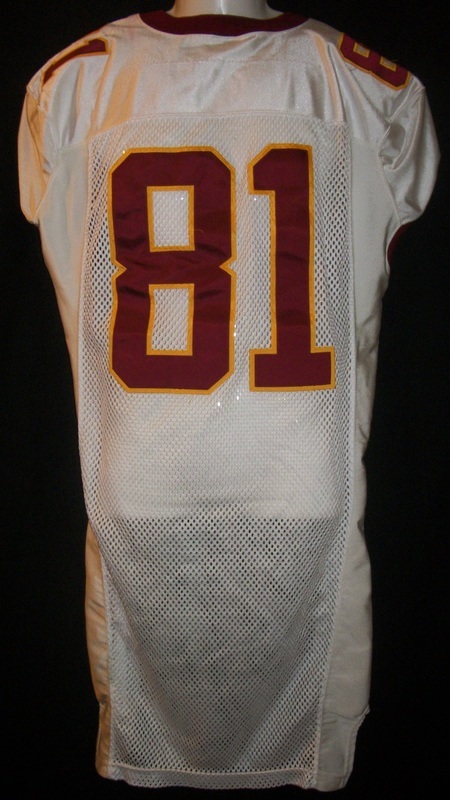 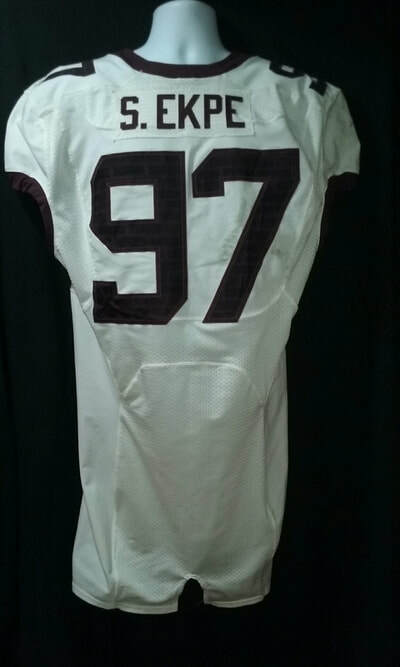 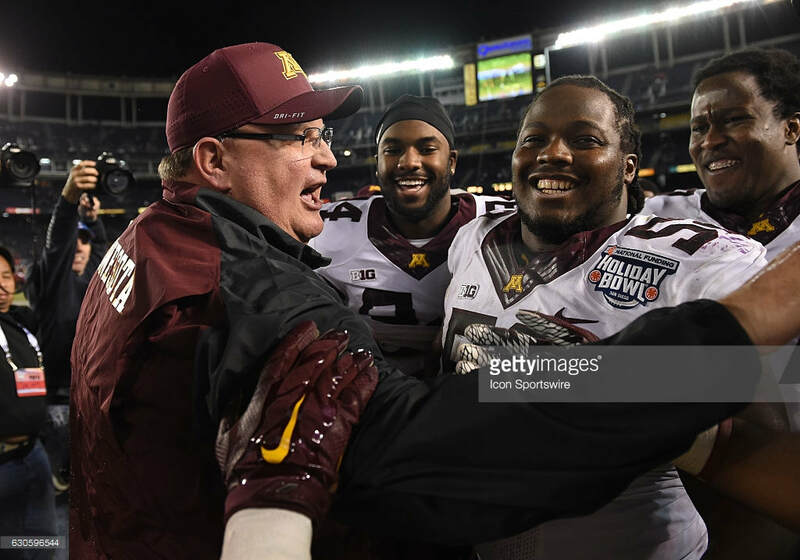 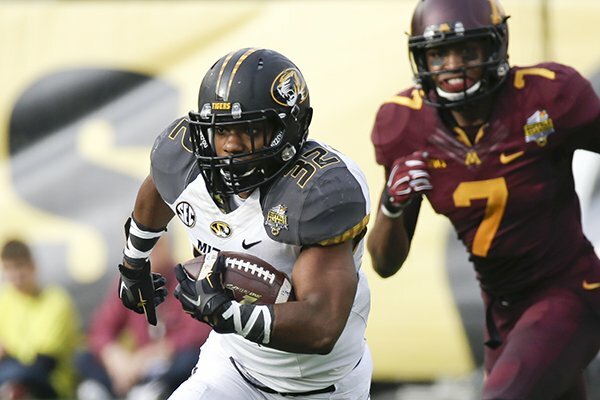 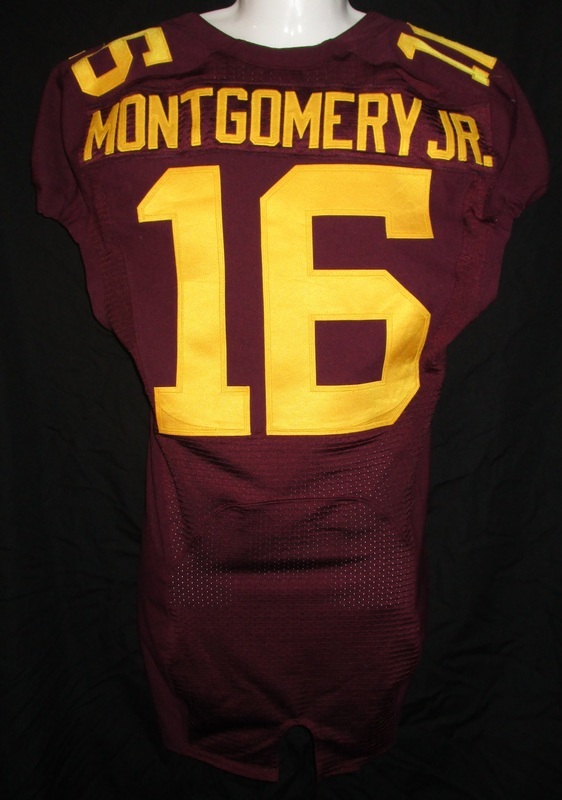 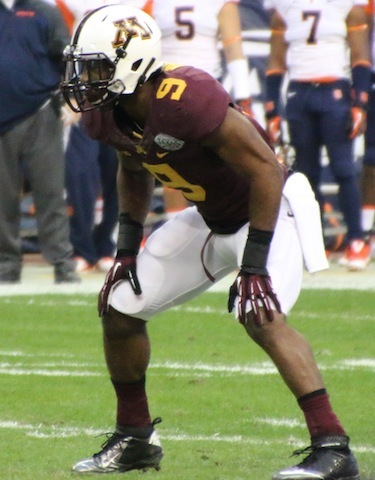 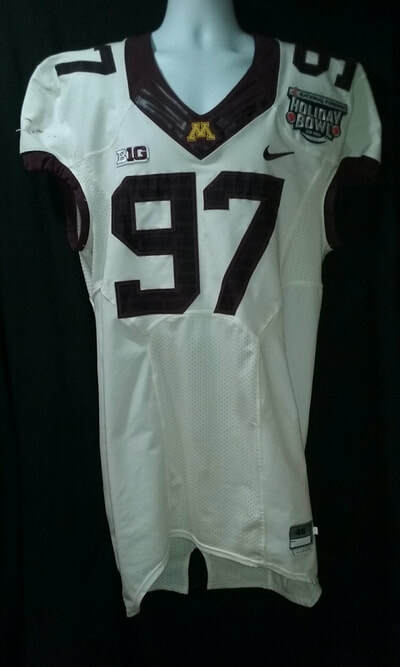 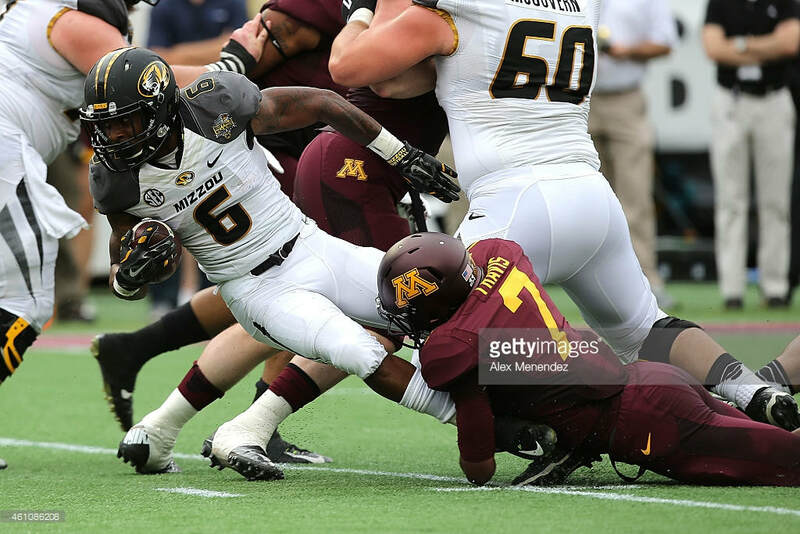 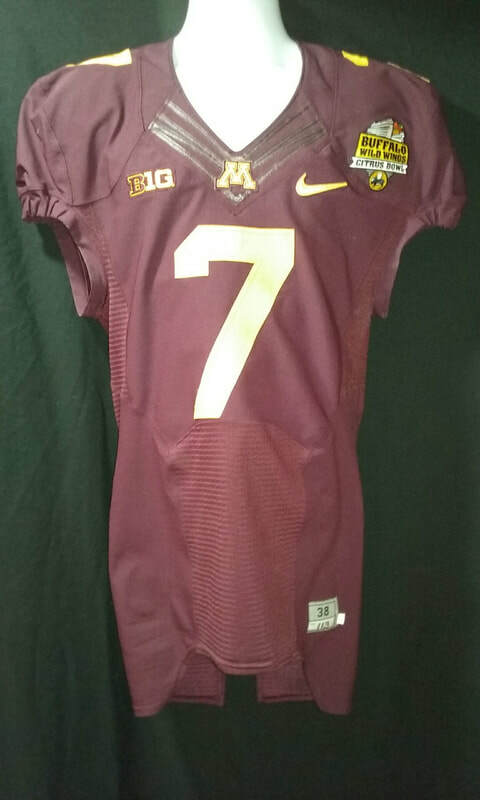 Minnesota Gophers 2015 Steven Montgomery Jr. Citrus Bowl jersey. 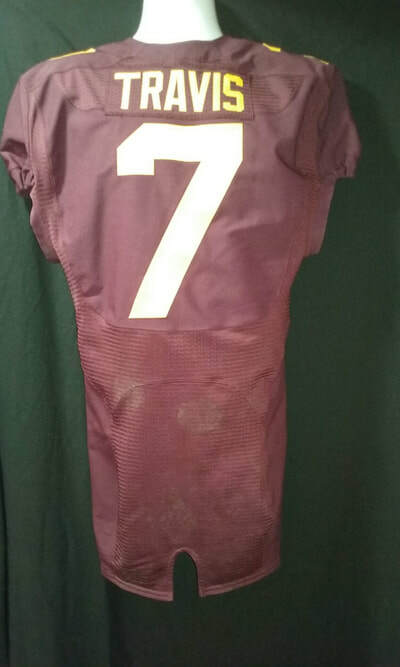 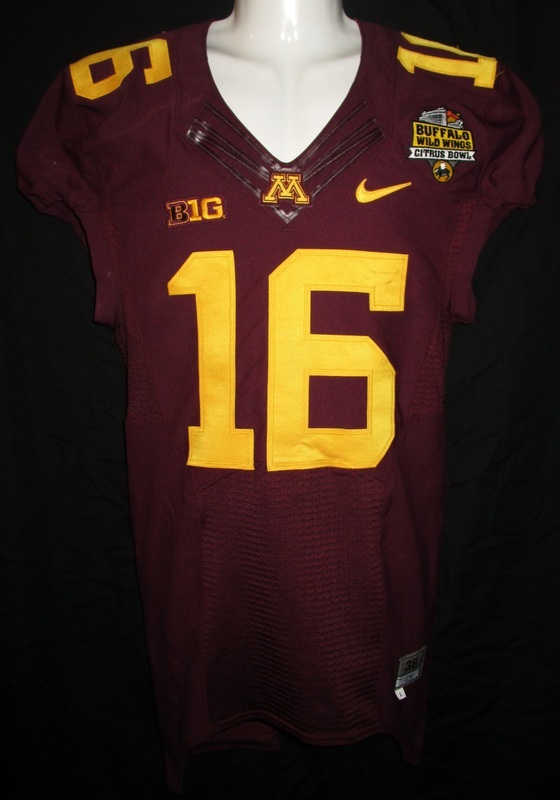 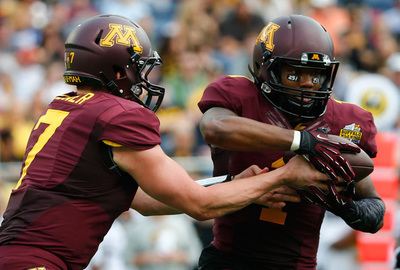 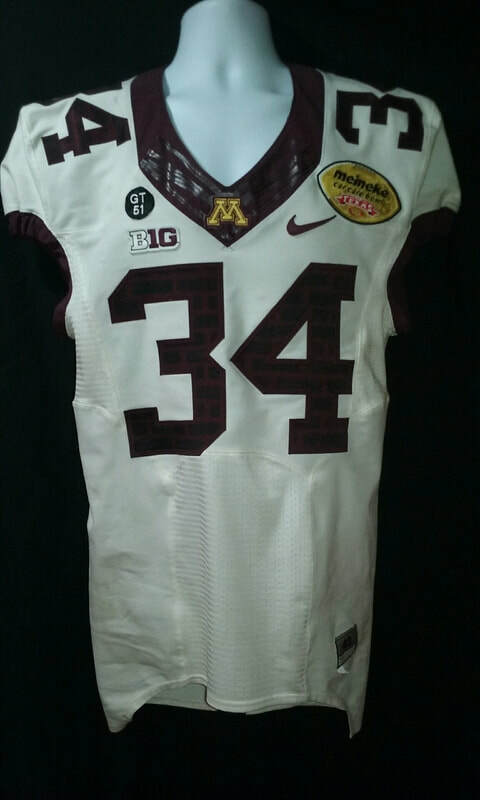 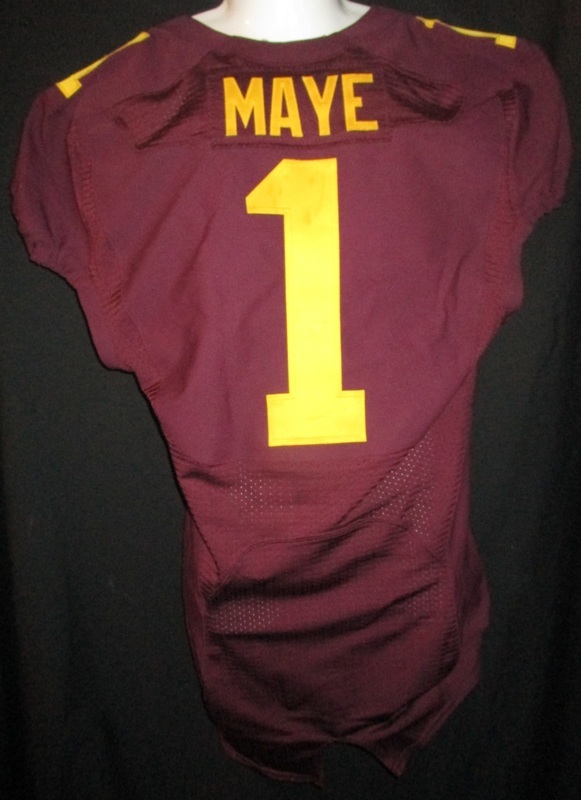 Minnesota Gophers 2015 KJ Maye Citrus Bowl Jersey. 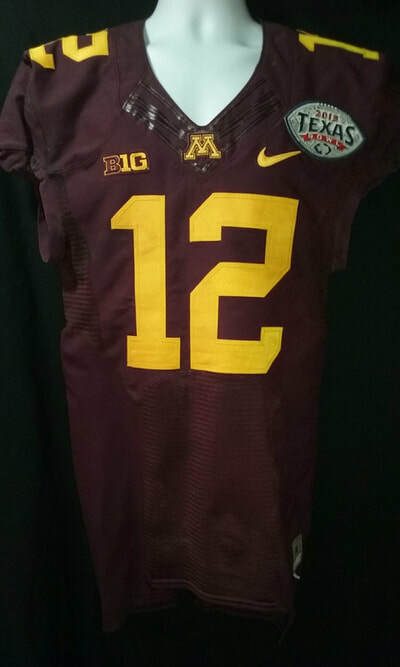 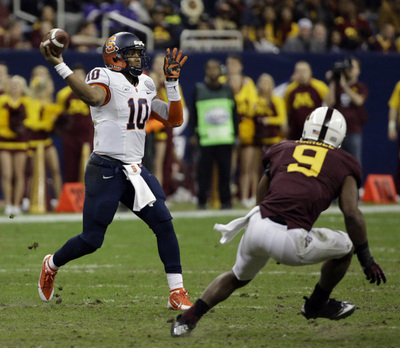 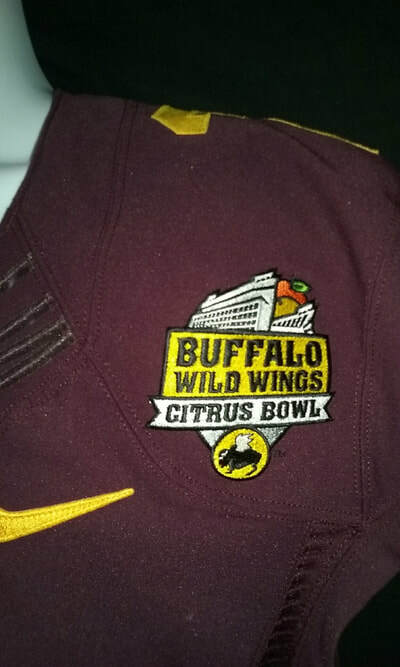 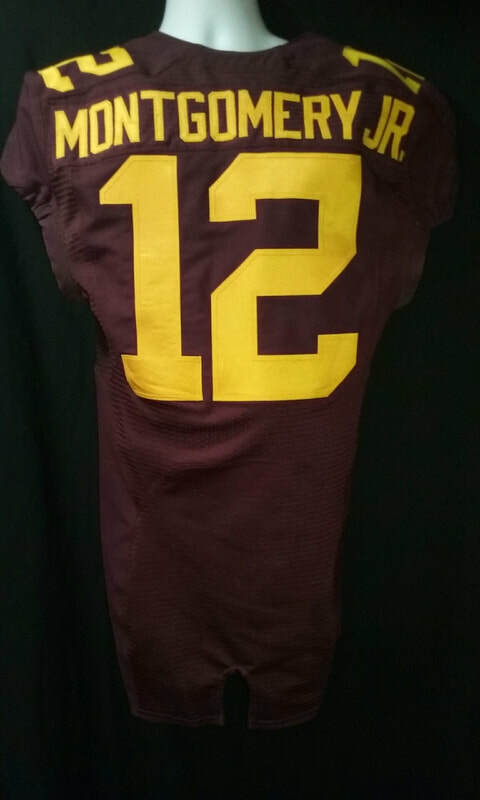 Minnesota Gophers 2015 Damarius Travis Citrus Bowl jersey. 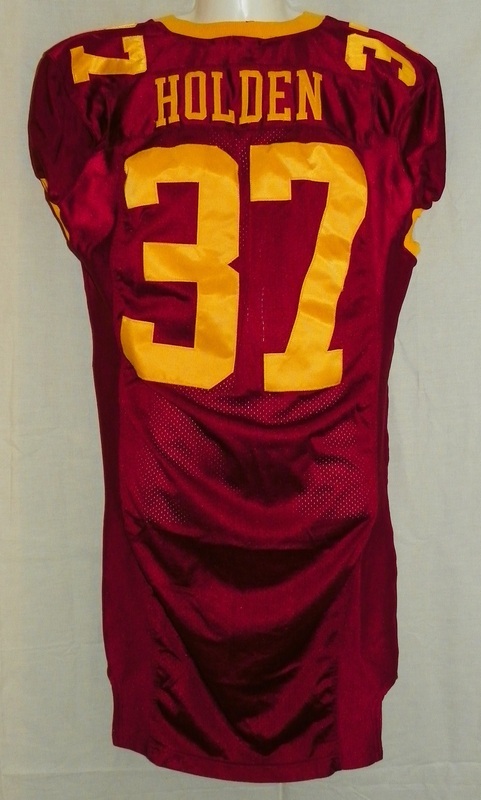 Minnesota Gophers 2016 Scott Ekpe Holiday Bowl jersey. 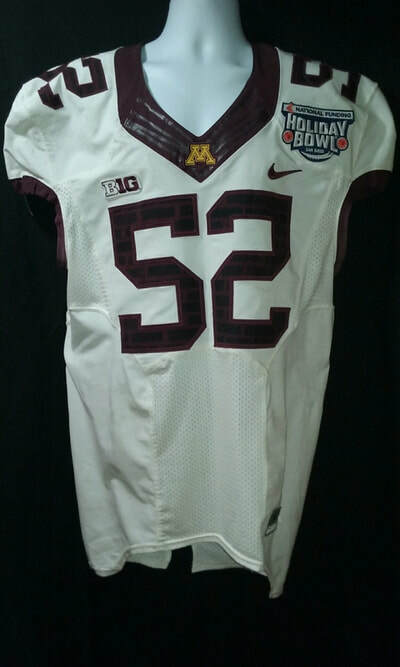 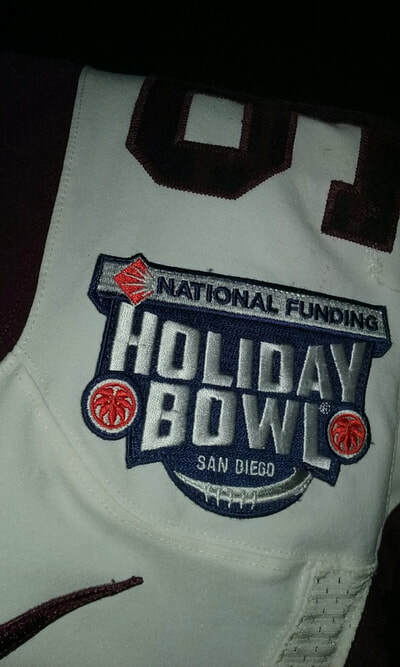 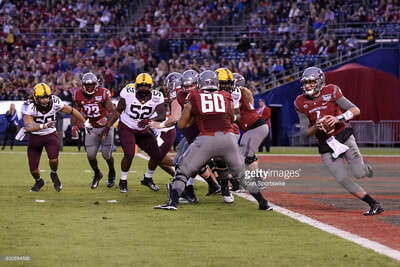 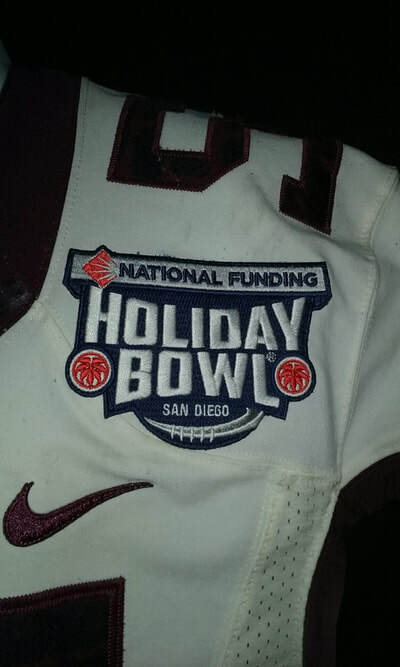 Minnesota Gophers 2016 Schoobe Timms Holiday Bowl jersey. 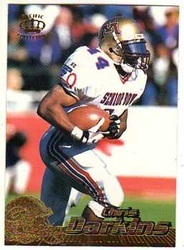 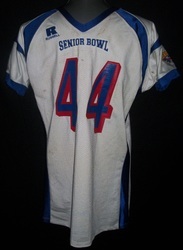 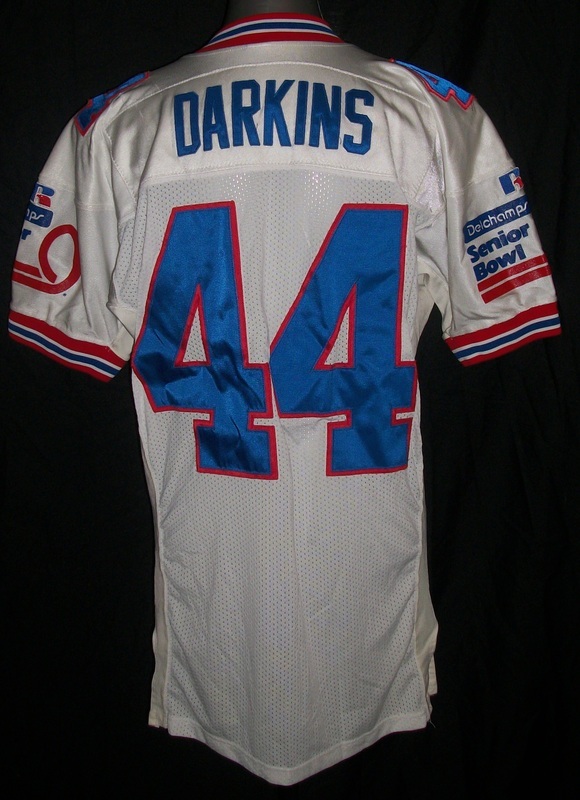 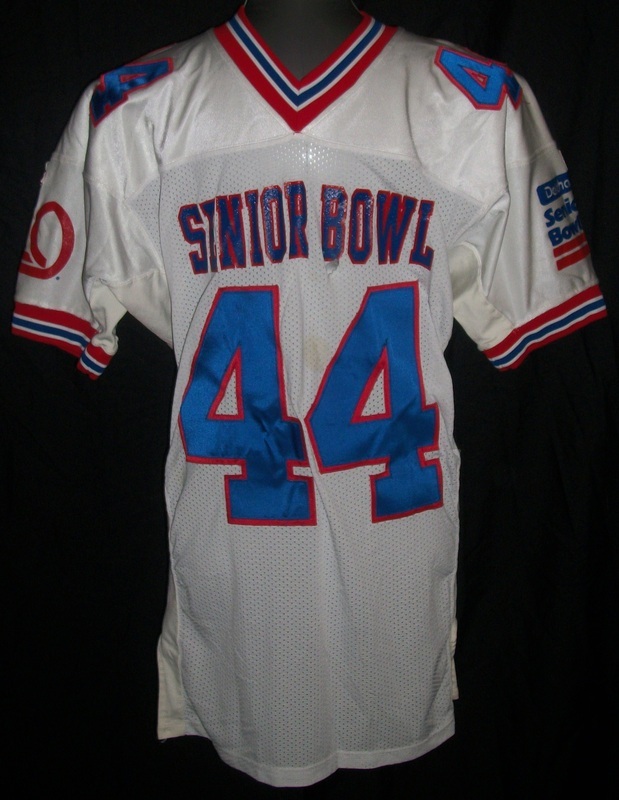 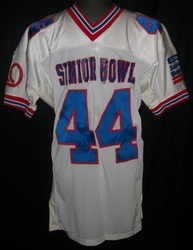 Chris Darkins 1996 Senior Bowl Jersey. 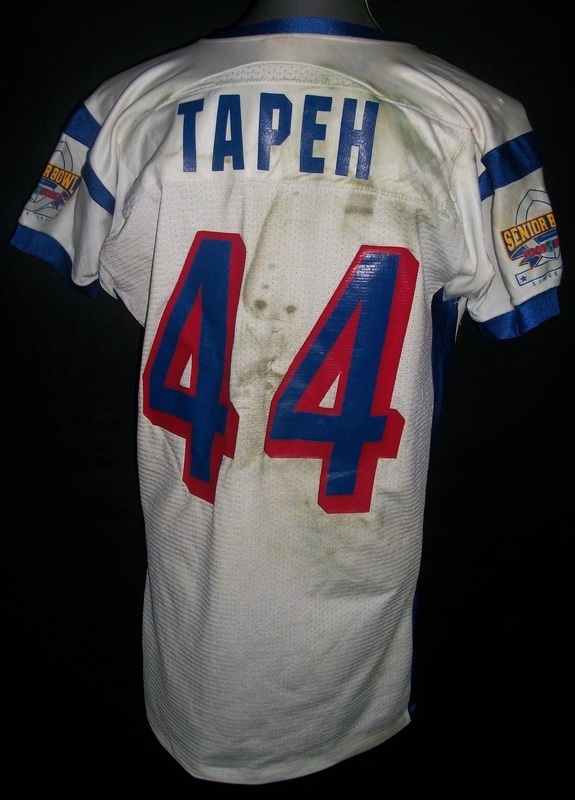 Thomas Tapeh 2004 Senior Bowl jersey. 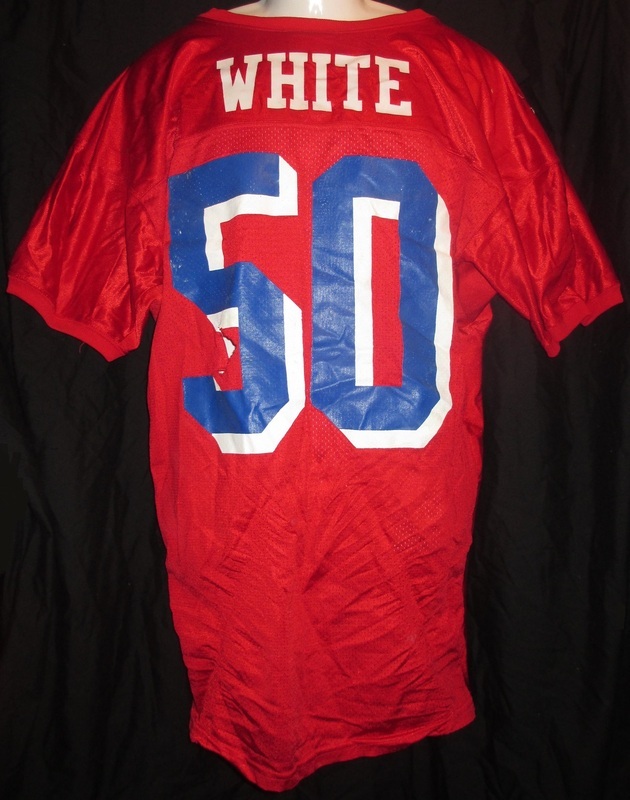 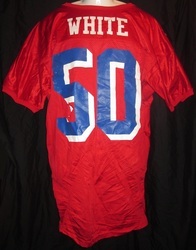 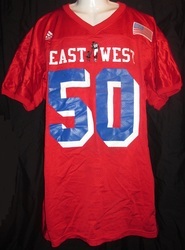 Greg "Stylez" White 2002 East/West Shrine Bowl jersey and locker plate. 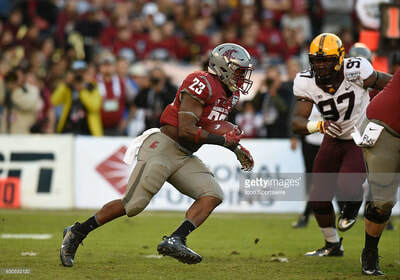 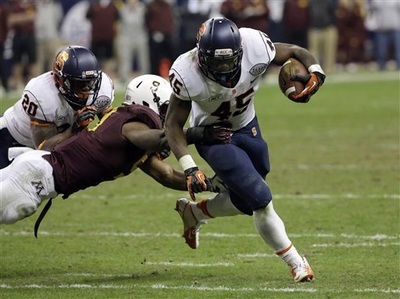 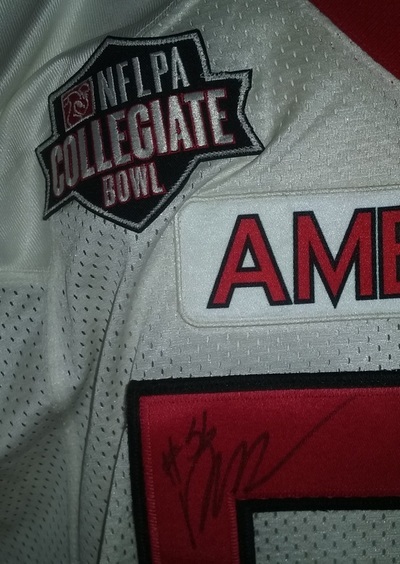 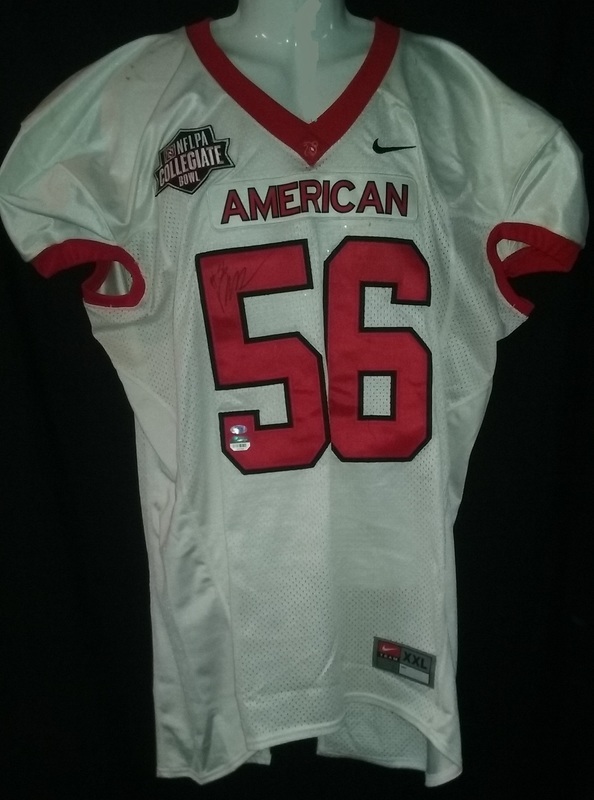 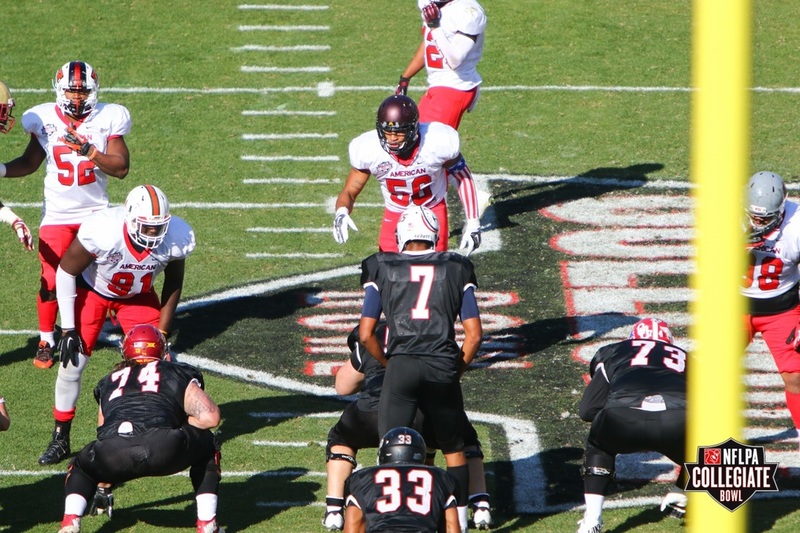 Damien Wilson 2015 NFLPA Collegiate Bowl jersey.